Graham recently visited FAST and we got talking about Lightnings. 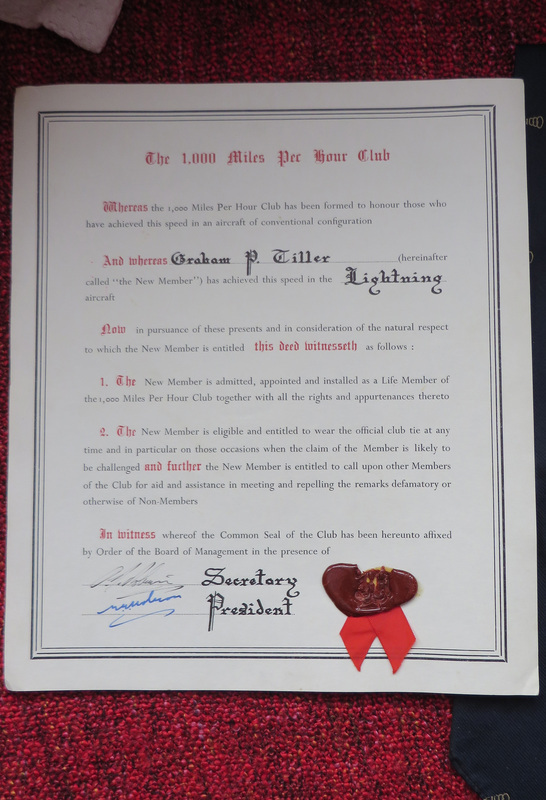 During our conversation Graham advised me he was a member of the 10 Ton Club having flown in T.5 XS419. 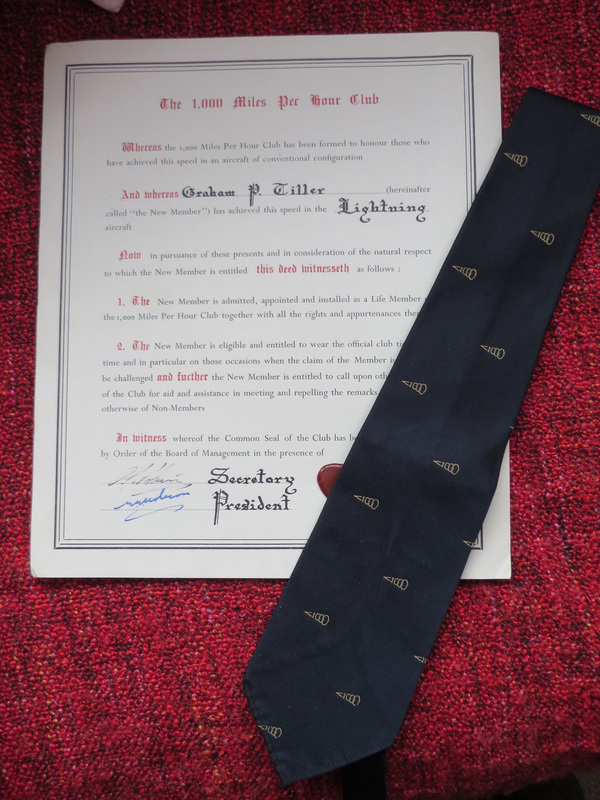 Having achieved the enviable flight in a Lightning, Graham was awarded a certificate and tie which are shown below. My thanks go to Graham for sending me his memories.